This frighteningly funny collection of Halloween poems is perfect for sharing! And the happy haunters are ready for a monstrous good time! In this collection of fifteen sweet, silly, and seriously fun rhyming poems, young readers will meet hungry ghouls, sneaky ghosts, and frisky skeletons, all who love partying in the moonlight. It’s a Halloween spook-tacular like no other! 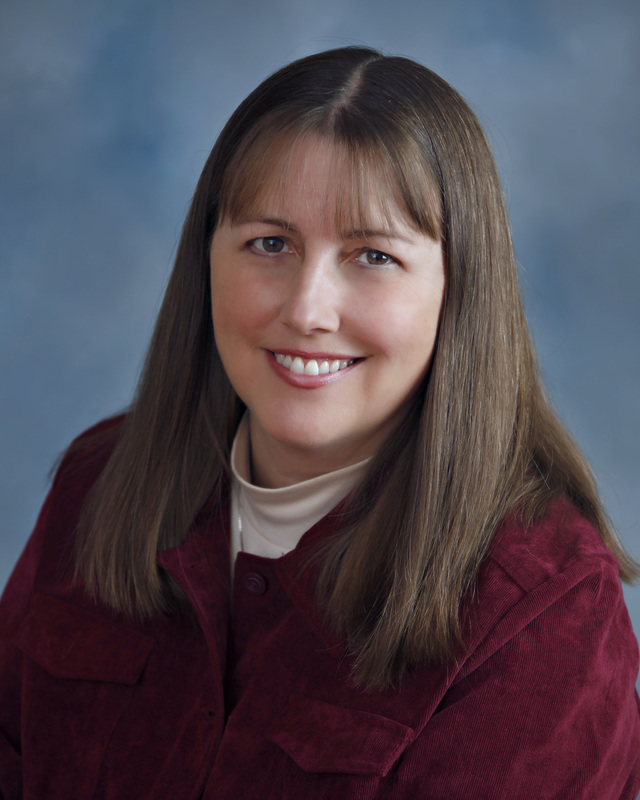 Debbie Lepannen is an award-winning author of children’s poetry. She lives with her family in Duxbury, Massachusetts. "Fifteen spooky poems, each with its own spread, celebrate Halloween as youngsters in costume share the night with a variety of ghosts, goblins, and unknown fiends. Bright neon colors contrast smartly with dark, brooding backgrounds.... This collection of funny-scary verses is sure to delight even the faint of heart." "Leppanen can sling around Halloween iconography with the best of them.... Carpenter’s angular digital art has a Molly Bang–style boldness and uses bright primary colors to contrast the various ghoulies against (mostly) dark and brooding backgrounds. The ominous undertones of some of the poems are lightened by the art’s humorous details. Got an event involving a huddle of nervously giggling kids and a flashlight beneath the reader’s chin? Here’s your book." "Fifteen short and often silly poems introduce Halloween monsters and spooks that ham it up.... A gently ghoulish collection of Halloween poems to provoke both giggles and chills." "These Halloween-y poems told from shifting perspectives—the scared trick-or-treating youngsters’ and the creepy monsters’—are great for both the expert cadence (they sound smashing aloud) and also the balance of tone. Some are mildly chilling.... Others are humorous.... The digital illustrations embody this mix, too: children wide-eyed with fear are greeted by benign-looking creatures just having a good time. A fun-filled, jaunty Halloween treat." 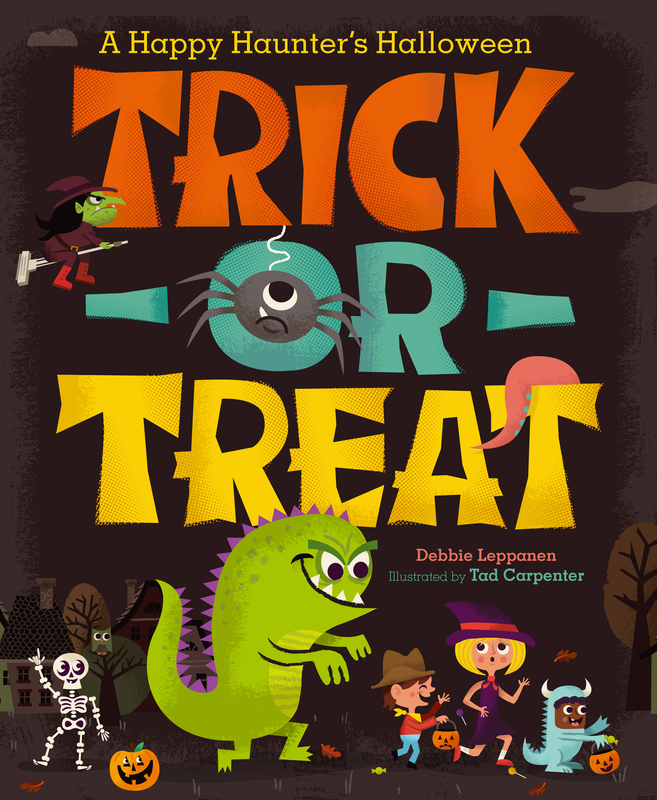 "This collection of fifteen original Halloween-themed poems offers a playful variety of rhyming verses that mix longer descriptive pieces in with limericks and lists; the resulting collection is both entertaining and chock-full of crowd appeal. Humor abounds...and the fear factor never reaches beyond playfully spooky, making it a great selection for the younger set..... Carpenter’s high-contrast digital compositions are...amusingly imbued with a retro graphic feel; most spreads are day-glo bright, with a multicultural cast of human/monsterly figures shining out against a dark purple nighttime." "Leppanen and Carpenter’s book is vividly colored and only sort-of-scary in a way that will seem familiar from TV cartoons and “Monsters Inc.”: grinning acid-green witches fly through purple skies; skeletons play Ping-Pong; and a mummy-mommy, wrapped in grave cloths, packs spider eggs for her mummy-son’s school lunch…. “Trick-or-Treat” is fun to read aloud but accessible and appropriate for the youngest readers in the family; spooky enough to whet their appetites for the eve, but not so frightening they’ll hide in the closet when the doorbell starts ringing."